Chances are you only get your blood pressure checked maybe once or twice a year at the doctor’s office. You sit down in a relaxed setting near the waiting room while a nurse wraps a black velcro unit around your upper arm and pumps away. Perhaps the reading comes out a little high, but nothing to worry about. At least until you find yourself in a high stress situation, your blood pressure spikes and you end up having a stroke. Going to your doctor twice a year isn’t the ideal way to get an accurate reading, says Bettir CEO Mike Chen. He and his four other co-founders, David Merriman, Ben Godlove, Nic Novak and Michael Rubin, were all friends at Oberlin when they started discussing the idea of going the startup route together. The band formed and through some health research, Bettir was born. It’s now Y Combinator-backed and ready to ship. “We were thinking of doing something health related and blood pressure kept coming up,” Chen relays. He and another co-founder realized they actually have high blood pressure through their research. They’re in good company, too. One-third of all Americans suffer from high blood pressure, according to the CDC. One in 10 people have something called “masked hypertension.” This is the exact scenario provided in the beginning of this article. A person shows up as normal in the clinic, but has spikes in stressful situations that lead to serious problems. The typical person with this sort of problem is often young, male and in a stressful job or life situation. 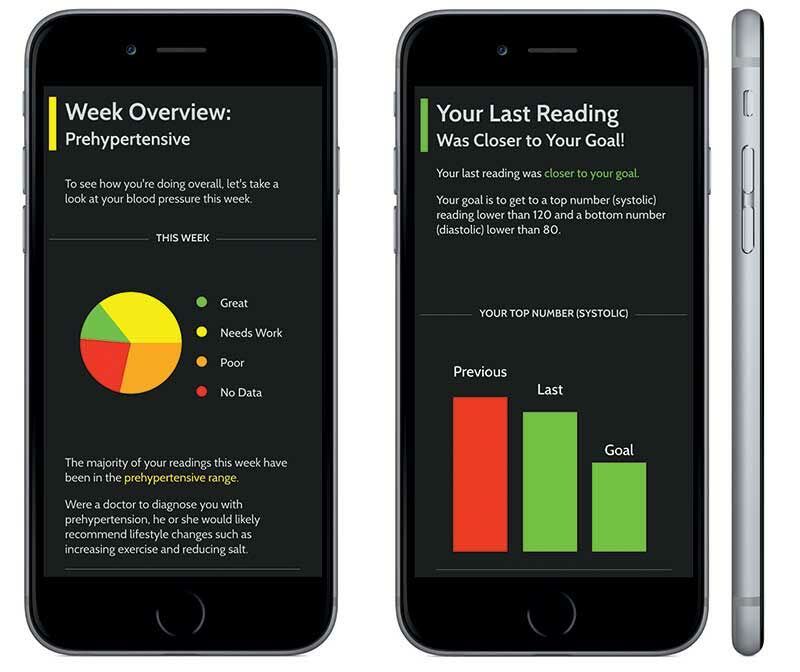 Bettir aims to help people find out if they have high blood pressure spikes or masked hypertension throughout the day and at certain times by monitoring it 24/7 with an app. Rather than just provide you with some data that you can then take to your doctor, Bettir decided to hire a bunch of experts to help diagnose you and get you treatment. It literally has doctors standing by to talk to you about your blood pressure. The first thing Bettir asks you to do within the app is to make an appointment with one of these doctors. It then asks if you have a blood pressure monitor. If not, it will give you a couple of recommendations. You can choose a cheap one that will take your blood pressure and let you manually enter in the info or you can choose a higher priced, Bluetooth enabled version that will automatically upload your info to track in the app. Most of these devices are available in your local drug store or online. Bettir doesn’t sell them. In fact, the founders haven’t really figured out a monetization plan just yet. The app is already free in the App Store and, for now, the cost of visiting with one of the doctors is also free. The co-founders have discussed different ideas such as a subscription plan or selling devices but they haven’t figured out their exact model just yet. Chen says the group is open to funding options while they figure that out, but Bettir is okay as a mostly (minus the YC funds) bootstrapped venture for now. Chen and several of the team members had some earlier successes that help with that. Chen was involved in the founding of Made in Space, which sent 3D printers to NASA astronauts. The app can generate reports for your own doctor, if you feel more comfortable working with them instead of the doctors that Bettir provides. You can also hook the data into Apple’s Health Kit. “It doesn’t matter who you see or how you use it. What we really want to do is help people know if they have a problem in real time,” says Godlove.